David is the founder and Chief Executive of AfricAqua Limited, a social enterprise providing last mile safe water solution in Kenya and Tanzania. He is the Founder and Chairman of Ecotact, a leading social enterprise with the IKOTOILET flagship, an international Award winning social innovation and holder of Guinness World Record (2010) and 2012 UN International Best practice Award among others. David is involved in Innovation modelling, prototyping, resource mobilization and strengthening partnerships for sustainability. 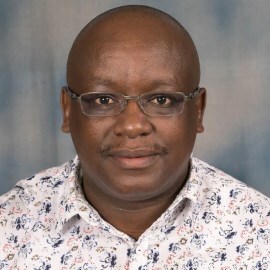 He is a member of the International Project Management Institute and a leading WASH consultant in Kenya and Sub-Sahara Africa, currently with USAID in Tanzania; and Urban development adviser with CSUDP/SIDA in Kenya. He holds an MBA in Corporate Management and B.Architecture form Jomo Kenyatta University. David is currently pursuing a Doctorate in Project Management, with interest in implementation of Public Private Partnerships in Africa. He is in the board of management for Njoro Special School.